iGarden Club Member Login	 Forgotten Password? Hello and welcome to iGarden. Anyone who knows me will know that I am 'The Compulsive Gardener' - I love everything about gardening. Allow me to share some of my enthusiasm and interests in gardening. This is more than just about plants: it's also about the people involved in gardening; their books and gardens; planting schemes; choosing appropriate plant types; colour selection... 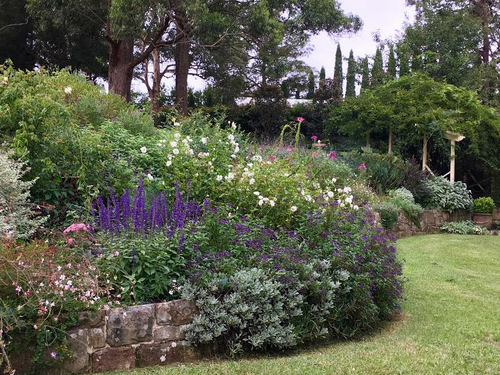 There is plenty to think and read about in iGarden with a focus on the plants I know best and those that do especially well in my garden in Sydney. While you are here enjoy my latest blog, have a browse through my list of Plants and other articles and don't forget to check out the Discussion Forums, my Marketplace, the member Garden Ramble and Plant Share and your local Events, Nurseries and Weather. I visit the garden of my dreams.